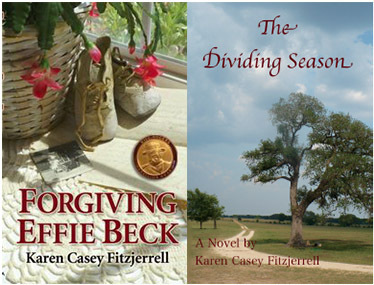 Susan read the manuscripts for both my published novels and provided excellent professional feedback. She did a superb job not only line-editing but also making helpful, well-thought-out plot and writing style suggestions that greatly improved my books. In addition, she speaks and writes in Spanish and has spent extended periods of time in Mexico; her familiarity with the language and culture brought an authenticity to the Spanish-speaking characters in my novels. I give her full credit for the fact that my novels have won multiple awards. As someone who has been in academia for years, I’ve had many editors. Yet Susan is by far the most accurate and deadline-driven independent editor I’ve worked with. She is incredibly versatile, having copyedited for me conference articles that have won awards as well as dissertation chapters and lesson plans. I think the reason she is so successful is that she loves language and communication, which makes her not simply an editor but an actual artist. 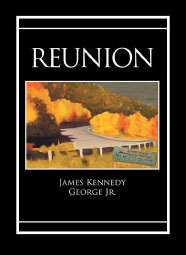 Susan was the primary editor for my initial book, the novel Reunion. She, the mistress of the soft, fine-pointed pencil, was a priceless resource to me throughout that project. More recently, she was the primary editor for my second book, Contact Sport: A Story of Champions, Airwaves, and a One-Day Race Around the World, a nonfiction work scheduled for publication February 2016. In both cases, Susan added value both at the precise grammar and “English 101” levels, and, even more importantly, on a higher plane by providing worthwhile comments with regard to context and clarity. Susan spares me no pain when editing my writing—yet she does it gently and professionally, and so I come out unscathed. Over the years, she has done content editing to improve the overall clarity, organization, and voice of my essays and articles, as well as copyediting to finely tune grammar and syntax. Her style is to give meticulous attention to detail. I’m always grateful to Susan for her help, and I heartily recommend her to other writers seeking professional assistance in polishing their work. 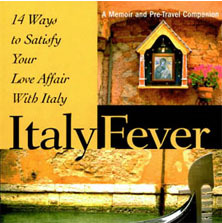 Professional, courteous, efficient: Susan’s meticulous copyediting and content editing skills kept me on track over the course of many months as I finished the writing for Italy Fever: 14 Ways to Satisfy Your Love Affair with Italy. I can’t imagine a better experience with an editor. I’ve worked with Susan for ten years on a variety of nutrition and health projects. She is a highly accomplished writer and editor and has been the “go to” person for our staff at the Michael and Susan Dell Center for Healthy Living at the University of Texas. She is very professional, tactful, and good at communicating with me about every aspect of a project. After working with her for all these years, she has taught me so much that my own writing and editing have greatly improved. She is a great pleasure to work with. In her roles as copyeditor and fact-check coordinator at our multimedia company, Susan was instrumental in crafting language arts and history content for educational publisher Holt, Rinehart and Winston. The staff depended on Susan’s keen eye and thoroughness, her ability to make text as comprehensible as possible, and her knowledge of grammar, mechanics, and usage as we created high-quality products, some of which became award-winners in media festival competitions. Brenda Fondren, co-principal of Cortex Interactive, Inc.
Susan has edited ad and web copy for my design company for over five years. Working with her is always a professional experience, and the work is always turned around quickly with extremely thoughtful feedback and edits. Susan edits copy for a variety of different industries for us: non-profits, retail, interior design, and the medical industry to name a few. I’ve worked with Susan Luton on multiple projects. Since I’m an instructional content developer, it’s important that I write with precision. I consider myself a strong writer, but Susan always finds ways to improve my writing. Also, I have to say that I’m a much better writer today thanks to having her edit much of my work. On projects that don’t include her, I find myself thinking, “How would Susan tell me to write this?” She can identify an ambiguous sentence better than anyone I’ve ever worked with. And, of course, it’s a great experience to work with her.